Get the latest fantasy news from Marcas Grant, Michael Fabiano, and Graham Barfield. 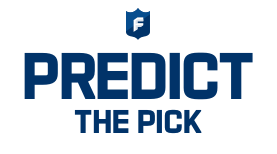 Compete against the experts by creating your own Mock Draft! Michael Fabiano breaks down Josh Jacobs, D.K. Metcalf, Hakeem Butler and much more in his Top-30 Pre-NFL Draft rookie rankings. Josh Allen led the Bills in rushing. That's what went right. It's also what went wrong. Marcas Grant wraps up his Fantasy Exit Interviews with the AFC East. Expectations were high for Saquon Barkley. He exceeded them. Marcas Grant lines up the NFC East in the latest edition of Fantasy Exit Interviews. Michael Fabiano breaks down his top-50 players in a five-round, 10-team mock fantasy football draft with thoughts on DeAndre Hopkins as the No. 1 receiver, Antonio Brown outside of the first-round, and much more. The frenzy that is the NFL's free agency period hasn't disappointed, as several fantasy stars have changed teams, been traded or even released. Here's your first look at the winners and losers so you can start prepping for your 2019 drafts! 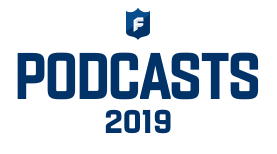 Graham Barfield analyzes all of the latest moves in his 2019 Free Agency Fantasy Football Fallout column, including in-depth thoughts on Odell Beckham to the Browns, Le'Veon Bell to the Jets, and Mark Ingram to the Ravens. It was the Year of Adam Thielen in Minnesota but not much else lived up to fantasy expectations. Marcas Grant moves on to the NFC North in our Exit Interviews. When things went wrong in Cleveland, Baker Mayfield helped make them right. The AFC North is next up in Marcas Grant's list of Exit Interviews. Graham Barfield checks in on D.K. Metcalf, Noah Fant, Elijah Holyfield, and much more in the Combine fantasy stock watch. D.K. Metcalf was easily the offensive star of this year's Combine, but there were a number of other intriguing fantasy stories that came out of Indy. Marcas Grant digs in with a special edition of Things I Learned. Good running backs gain what their offenses block for them, but the best ones manufacture production beyond that point. Michael Fabiano breaks down which backs created the most yards after contact in 2019. Using Next Gen Stats' completion probability metrics, Graham Barfield breaks down Russell Wilson-to-Tyler Lockett, Drew Brees-to-Michael Thomas, and the NFL's most (and least) extraordinary QB-WR tandems from the 2018 season. Michael Fabiano reviews the 2018 season leaders in fantasy efficiency with notes on Patrick Mahomes, Philip Rivers, and more. With free agency kicking off in earnest next week, Michael Fabiano takes you through the top 30 free agents from a fantasy football perspective. Pick one team every week and advance to the next week if your team is a winner. Pick the perfect lineup of 8 NFL players and you could win the grand prize of $1 million! Compete against experts and friends by picking the winner of every game, every week. © 2018 NFL Enterprises LLC. NFL and the NFL shield design are registered trademarks of the National Football League.The team names, logos and uniform designs are registered trademarks of the teams indicated. All other NFL-related trademarks are trademarks of the National Football League. 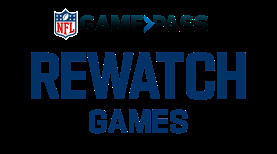 NFL footage © NFL Productions LLC.